There were many years when tattooing was rather frowned upon, it was reserved only for “bad boys”, but today it has become completely normal, whether on girls or boys, it’s become fashionable! 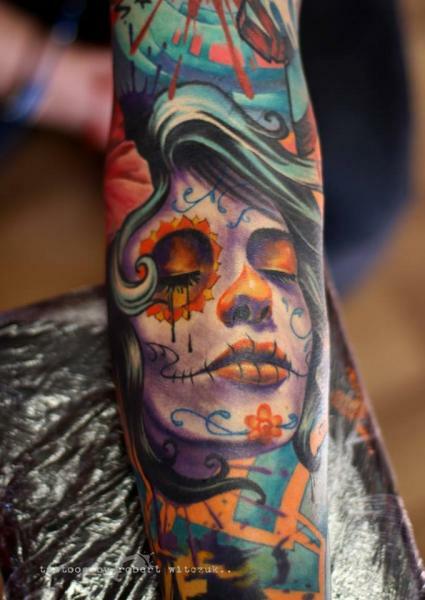 So why don’t you try tattoo in Playa del Carmen? Some will want to enjoy their vacation in Mexico and to bring an indelible memory on their skin, but without researching or any contacts, they won’t know if it will be (the tattoo) good quality.… Mexico is a country where the tattoo is a tradition, if you walk around town or on the beach, you will see that all Mexican youth are tattooed, it’s very common, and indeed the country has some great tattoo artists that are recognized around the world. 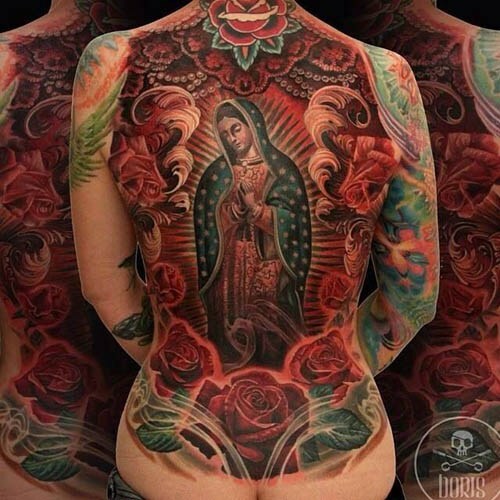 Among the traditional tattoos in Mexico, there are a lot of skulls, many times they are done in color and are known as “calavera mexicana”; there is also “Catrina”, with half a face of a woman and half skeleton, she is very famous in Mexican popular culture… Finally, for most believers, there is the famous Virgin of Guadalupe, a symbol that can really be found everywhere and in all social classes-it is the most respected religious symbol by Mexican. 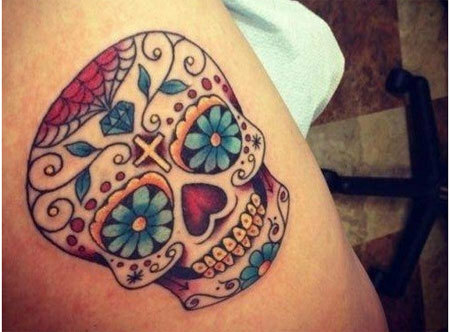 In Playa del Carmen you will find a lot of tattoo parlors, either by walking on 5th Avenue or on parallel streets, please check the portfolios or ask the tattoo artist to give you an idea of the style. The most famous are “Art Galleries” situated on 10th avenue and 34th street, the “859 Tattoo” located on 10th avenue and 20th street, and the “Metamorfo Tattoo” on 20th avenue and 6th street… You can also choose to get a tattoo in Tulum, at “Ink 2 Luum” for example, you’ll understand there is no lack of options!